Lifting and tipping bowls and small drums is challenging. 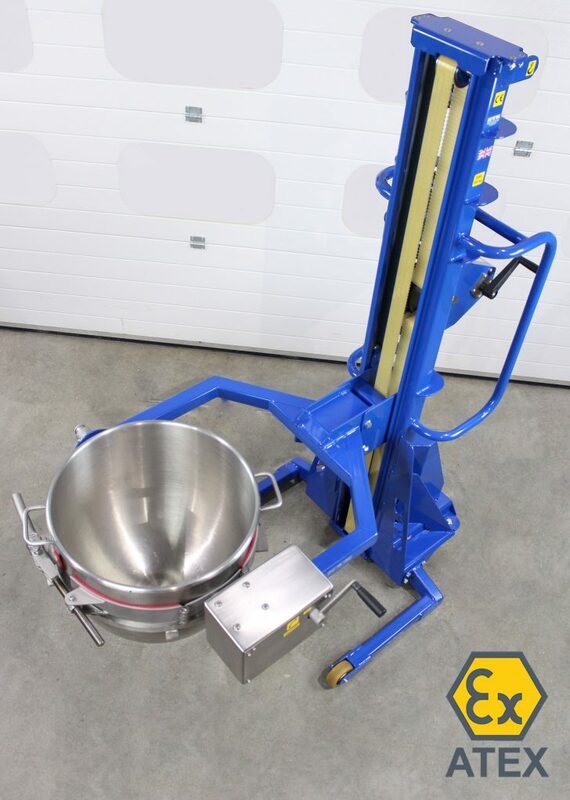 We developed our new bowl tipper to be both lightweight and manoeuvrable. A high-grade winch system provides the lift and a compact gearbox provides the rotation. 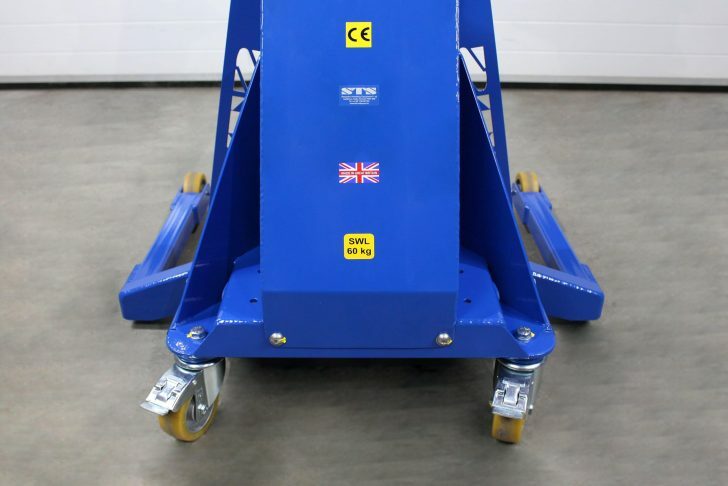 Choose from three lift options – manual, electric or pneumatic – all utilising the winch design. 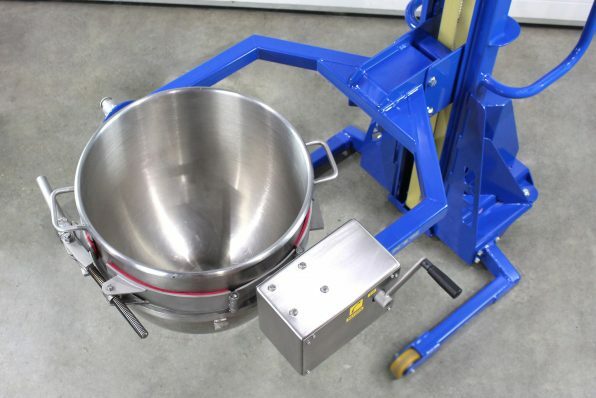 The bowl tipper shown in the following photos is a manually operated model. 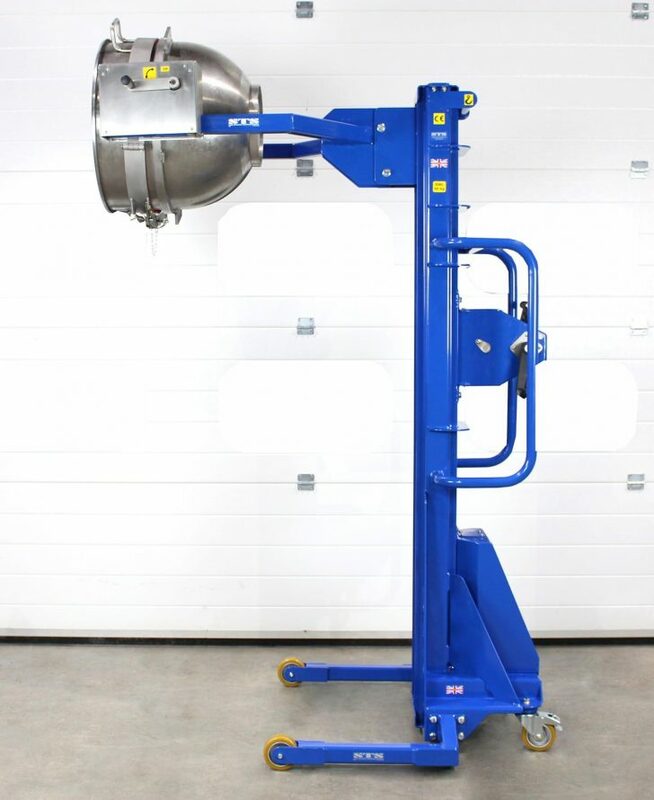 Our manual-lift STM09 bowl tipper is ideal for most applications, operated by turning a hand winch. 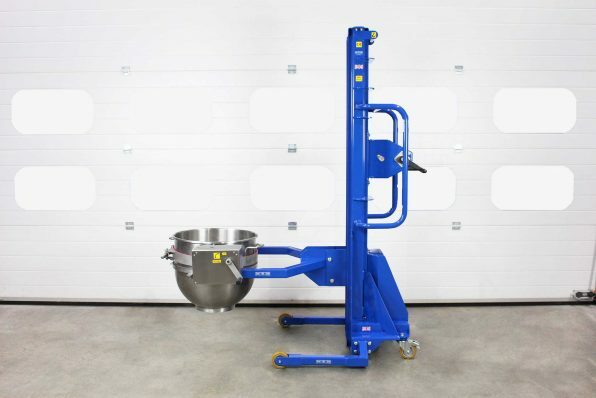 Alternatively, we offer two powered options: the battery-electric STE09 or the pneumatic STP09, which requires an airline connection. 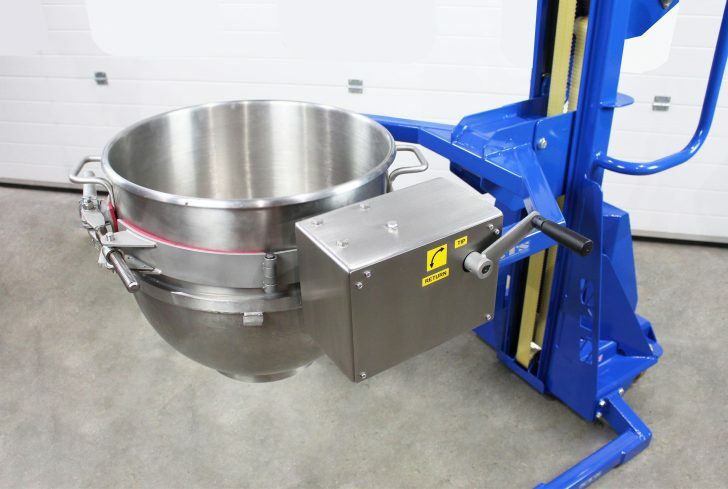 If you need an ATEX-certified unit, we can adapt both the manual and pneumatic bowl rotator models. We use high-grade components in our winches to provide you with a long-lasting, reliable bowl tipper. 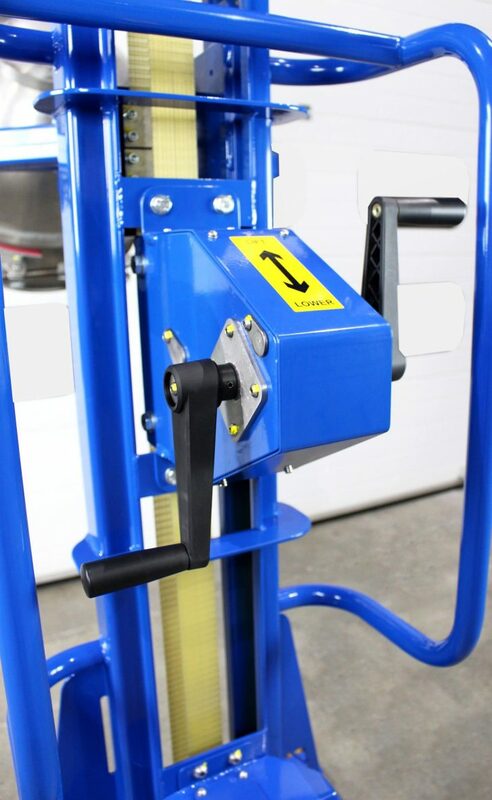 Using our manual winch you can raise loads of up to 75kg with minimal effort. We design and construct our winches in our UK manufacturing facility, meaning they’re all STS quality. The reach of equipment is important, yet often overlooked. We maximise the reach of our bowl tippers to ensure that when you’re pouring over a distance, goods have access to the parent container. We can also tailor the reach distance to meet your specific requirements. It’s quick and easy to secure a container into this model. 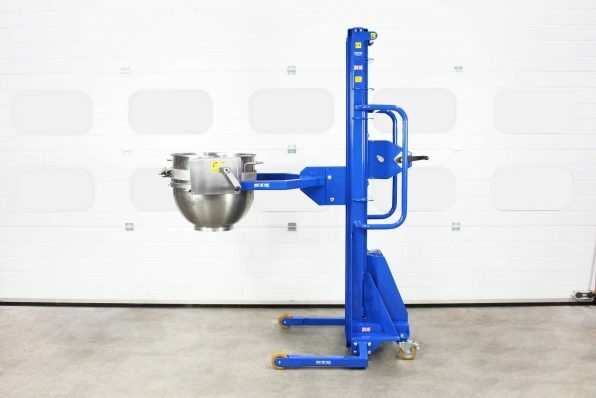 Our over-centre clamp is simple to use and offers repeatability for every lift. And we can provide customised clamping arrangements if you need something specific. STS are market-leaders in ATEX handling equipment. When explosive or potentially explosive atmospheres exist it is vital that certified equipment is used. 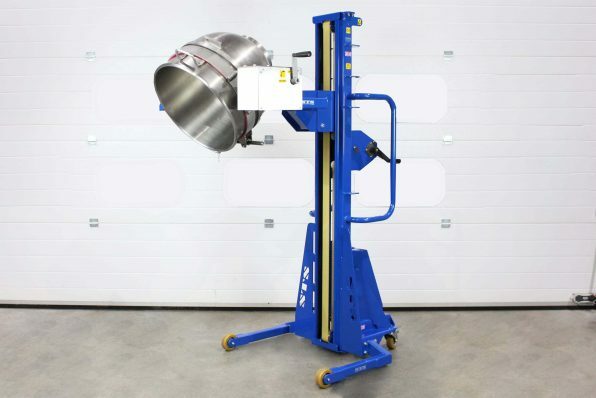 Our manual and pneumatic bowl tipper can be supplied as an ATEX-compliant model for use in Zone 1, 2, 21 and 22 environments. 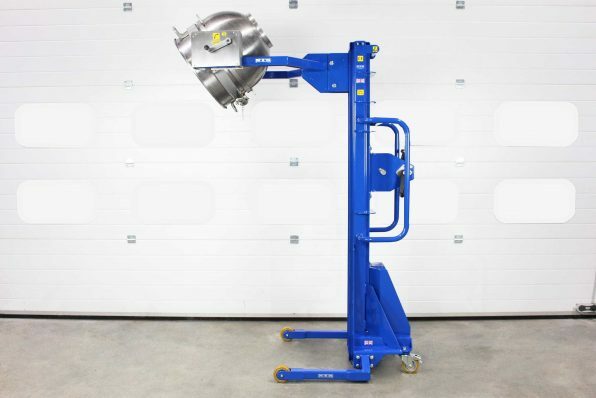 Each of our ATEX bowl tippers are designed to ensure electrical continuity, a path to ground is always present. With each unit, we supply a manufacturer’s EU Declaration of Conformity, this states compliance with the ATEX Directive 2014/34/EU. We can provide an ATEX option for this model, suitable for use in an ATEX Zone 1 environment and certified to ATEX Directive 2014/34/EU. We can offer a range of stainless finishes on this product to make it suitable for clean rooms as well as good manufacturing practice (GMP) areas. We can adapt any STM09 (manual unit) into an STE09 (electric unit). The increased lift speed is useful for time-critical production applications. 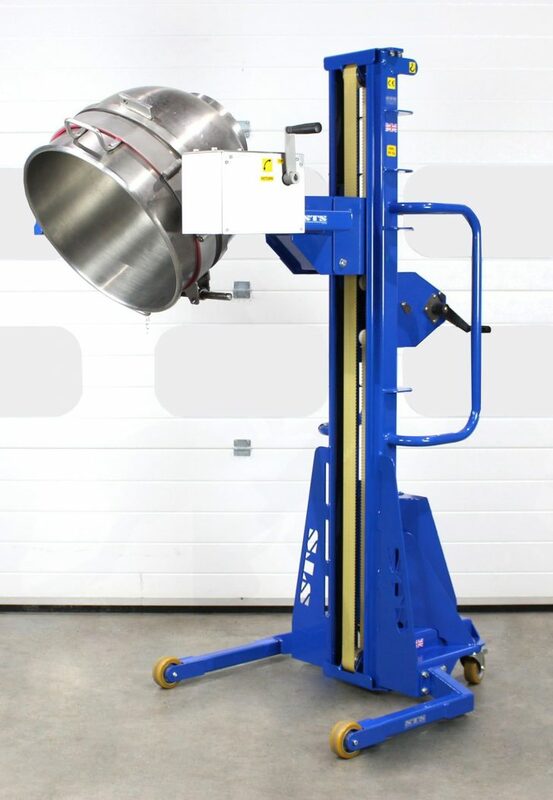 We can make any STM09 (manual unit) into an STP09 (pneumatic unit), increasing lift speed while still allowing the model to be adapted for ATEX certification. If your applications are time critical, we can build a power-rotation model to increase the speed of the process. If machinery integration is critical we can modify leg dimensions to suit your facility.